children sleep with teddies held tight. with dreams of spreading fear and fright. 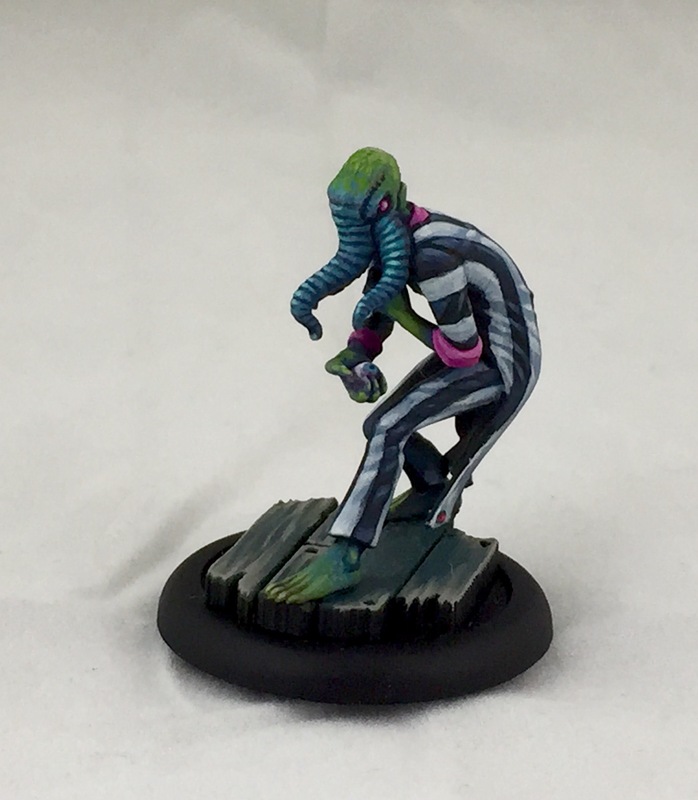 Ever since I was introduced to the game of Malifaux I’ve had a strong interest in painting The Dreamer and his crew. Catching word of this my gaming buddies gave me the box set as a gift (big shout out to Jay, Vin, Ed, Kirk, and Dev). Almost a year later, I finally got to painting the models and I must say I’m very happy with the results. Check them out! 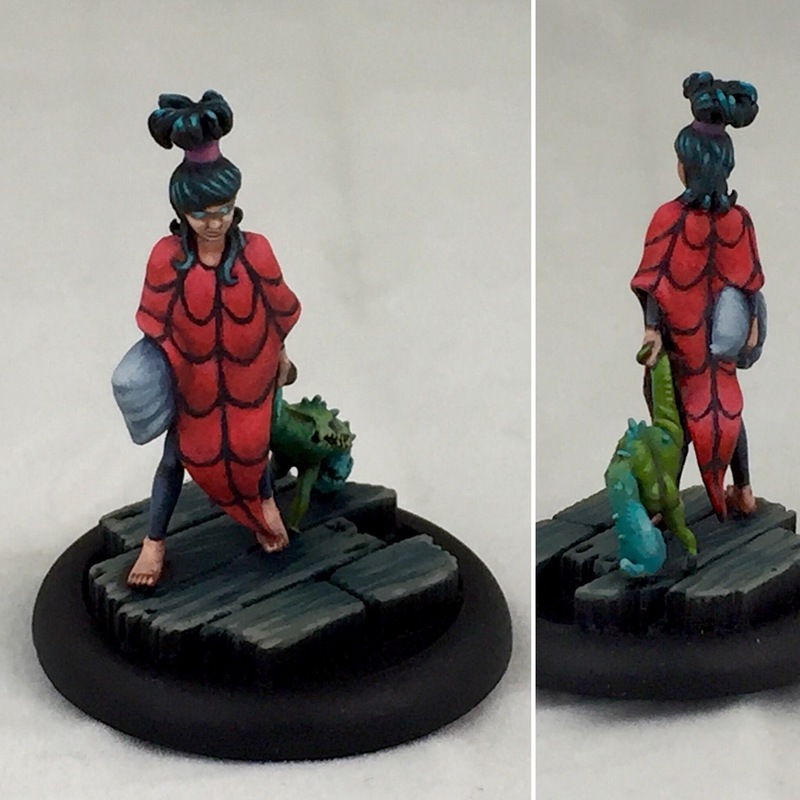 After mulling over the color scheme for this crew for a long time I decided to try something characterful and fun. Here you see the entire crew in all its creepy-Tim Burton-Halloween-Beetlejuice inspired glory. Who isn’t a fan of Beetlejuice and The Nightmare Before Christmas? The first model I painted was Coppelius, or in this case Coppelijuice (bizarro Doctor Who Ood, anyone?). It wasn’t easy to paint the stripes but it was a very nice challenge. The color scheme draws from the Beetlejuice cartoon animated series (which I was completely hooked on as a kid). Just look at this opening sequence to the show and tell me it isn’t awesome! I’ll wait. Next out of the box were the Daydreams. 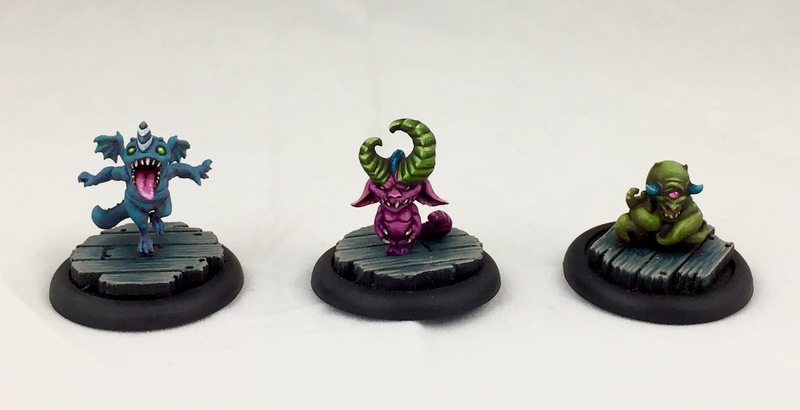 These adorable little apparitions were a really nice way for me to experiment with the crews color scheme: green, fuchsia, blue, black & white. I also used a lot of purple for my shading to help create harmony. Some models have a few other pop colors, but I tried to deviate from this foundation as little as possible. Here we have the Alps. I’m not a very big fan of these models except for the one holding a cigar. 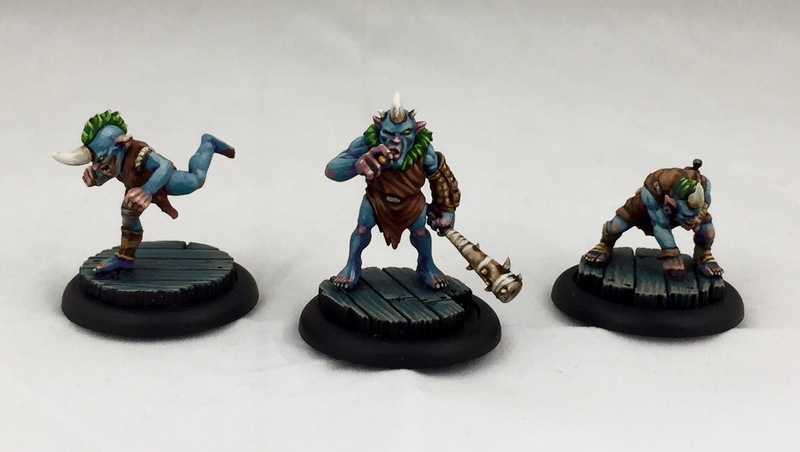 Just before painting these I’d watched Box Trolls and was really inspire by the artistry and flesh tones. That animation studio is so badass! Next up is the big centerpiece of the crew, Lord Chompy Bits! This model was intimidating as hell and I went back and forth on the color scheme several times. Particularly with the hands; first they had a purple glow, then blue, and finally the stripes. He’s sort of my homage to the Sandworms. I’ll post picks in another post of how I painted the stripes. Hint: lots of patience. Lastly we have the Dreamer. The original sculpt is a bit underwhelming. I wanted mine to be more unique. That’s when I came up with the idea to make him into Lydia (the cartoon version of course). So after much procrastination and analysis paralysis I got to cutting, sculpting and sanding. Lydia came to be and I’m so glad I worked up the nerve to make her. Work in progress pics to come! And with that I wish you a Happy October! Tis’ the season of changing autumn leaves, crisp cool air and of course, Halloween. So go out there and paint, draw or do something creepy. This entry was posted in Uncategorized by osographic. Bookmark the permalink. Waou! Awesome! love the show as well as I was a kid. You did a faboulous job here! Thank you very much for the kind feedback! 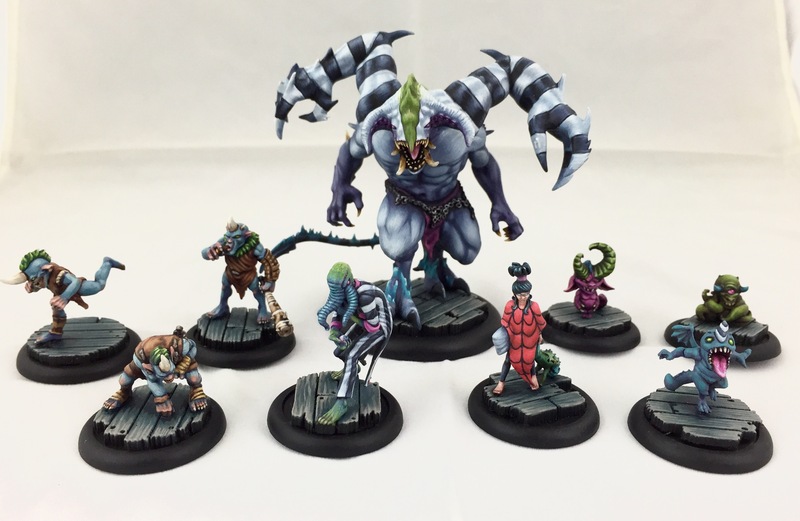 My next big project is a fancy display base for this crew. Should be pretty fun to work on.